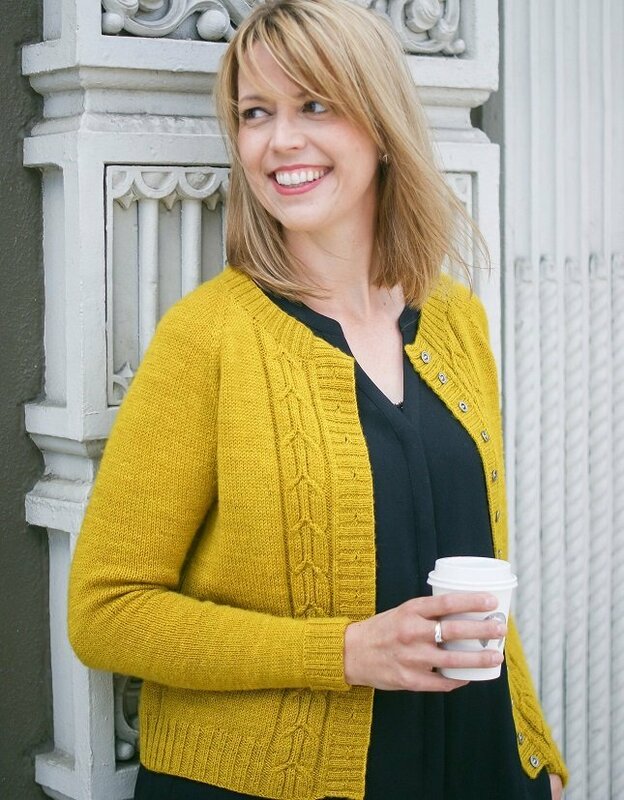 Modern-fit classic cardigan with architectural details. Southwell Minster is a beautiful and historic minster in Nottinghamshire (the seat of the Diocese of Southwell and Nottingham), and is the architectural focus for this design. 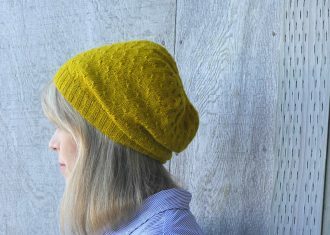 Not only is Nottingham the childhood home of a dear friend of mine, but it’s also the home of Sherwood Yarn, the indie-dyed British wool used in this design. 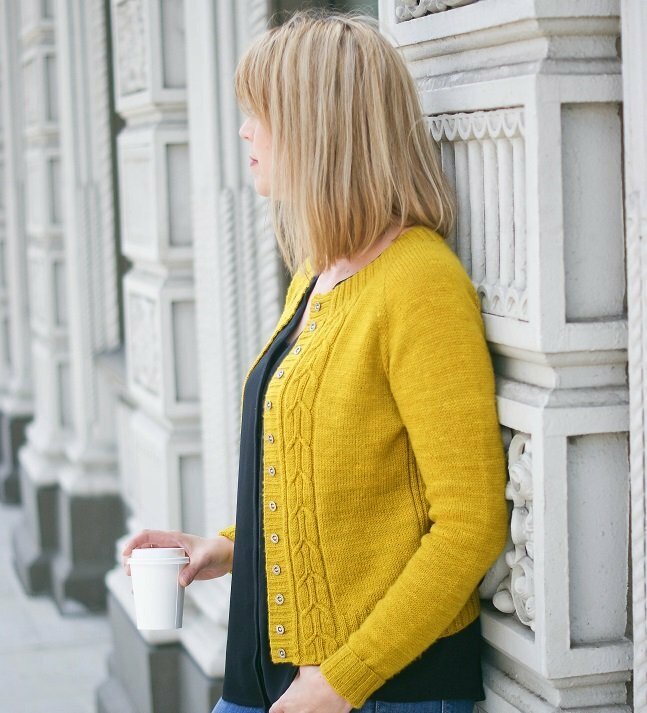 Southwell Minster is a top-down, seamless cardigan with vivid, delicate cables trailing vertically down the front. 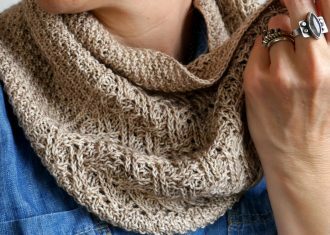 The cables are a nod to the spires of the historic minster, and result in a style that is utterly timeless, and wearable with just about anything. 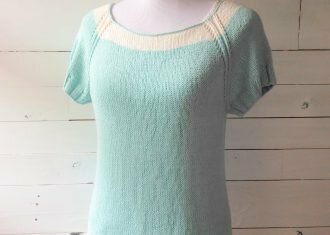 It’s the perfect second layer that can be dressed up or down, and is light enough to be worn (almost) year-round. Do you Instagram? 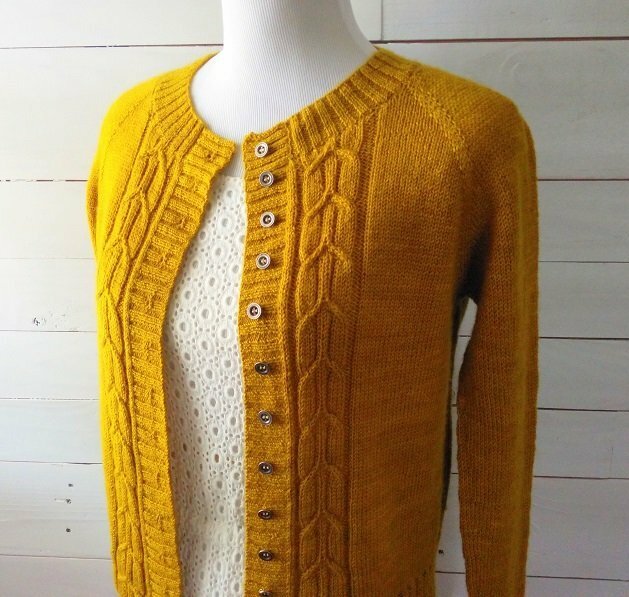 Use #southwellcardi when you post about this project so I can see your progress! Yarn BFL Sock (2 ply BFL non-superwash 421 yards in 110g) – Indicated yardage is for shorter/slightly cropped length (12” from underarm). • Use needle size necessary to obtain gauge. Yarn substitutions may create different results. Please bear this in mind. Cropped length is 12” from underarm divide.